This announcement is in response to the many calls, emails, and social media posts we receive at Jimmy Swaggart Ministries from people asking for SBN to be included on channels offered by their local cable providers. To make this happen, we need your help. If SBN is currently unavailable through your cable provider, please call your provider and request that SBN be added to their channel lineup. We also want you to be aware that there are other convenient ways that you can receive SBN at very little or no cost to you. Over-the-Air: Remember the days of rabbit ear antennas or antennas on the outside of your home? With the rising cost of cable and satellite TV, many people are “cutting the cord” and going back to watching free TV. We are committed to adding SBN in as many cities as we can to make our channel available free of charge to viewers under its broadcast signal. An outdoor antenna is always the best method of reception, but indoor antennas are also available and have tremendous reception. A full list of Over-the-Air stations broadcasting SBN can be found by CLICKING HERE. ROKU®: If you have high-speed Internet connection in your home, Roku is the simplest and easiest way to watch SBN. Starting at just $49.99, Roku is available as either a small box or an HDMI stick that plugs into your TV using an HDMI cable. (If you have an older TV that doesn’t have an HDMI input, the ROKU 1 will use composite cables). If you do have an HDTV, you can watch SBN in HD quality. 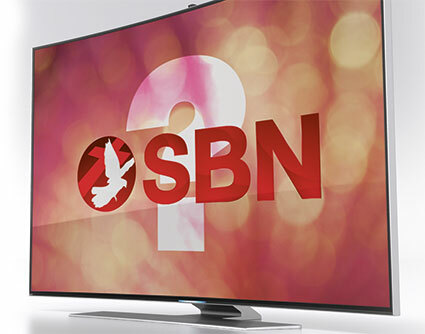 The one-time purchase of the Roku box plus your regular monthly Internet bill will allow you to watch SBN on your TV. 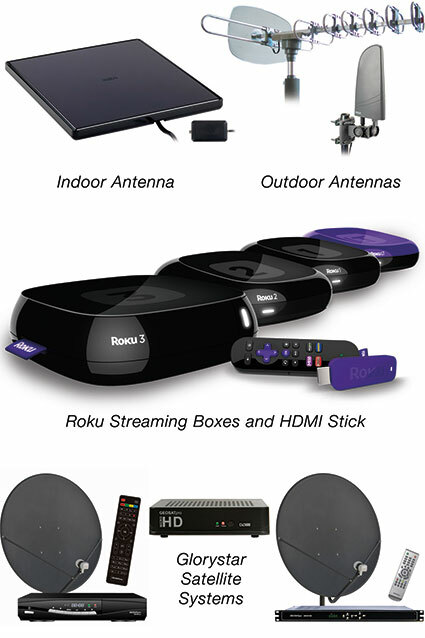 Roku is available for purchase at local electronics stores, retail stores, or online at www.roku.com . GlorystarTM Satellite Systems: If SBN is not on a broadcast station in your area, and you do not have access to high-speed Internet, then you can buy a small satellite dish and receiver for a one-time cost of $199 and get SBN at no monthly cost. Glorystar can be viewed in the U.S., Canada, Central America, and the Caribbean. For more information, please contact Glorystar by phone at 866.419.5004 or online at sonlife.glorystar.tv.